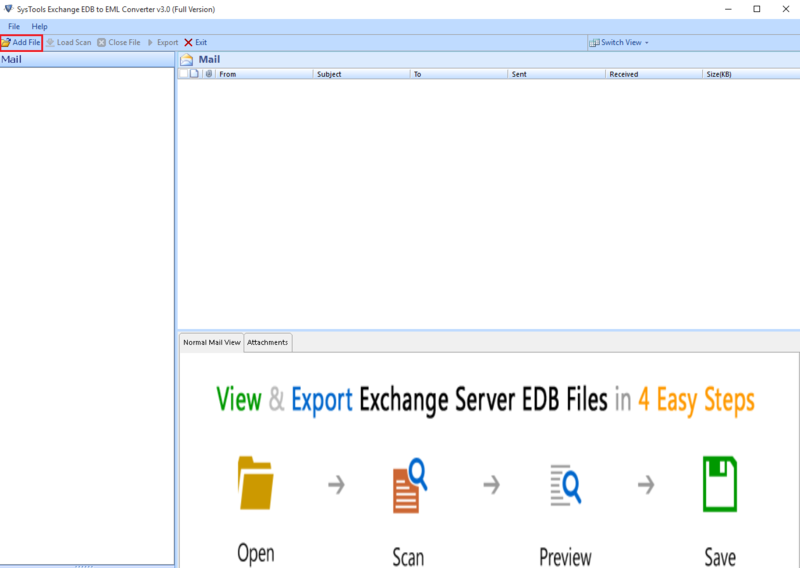 Best Exchange EDB file to EML Converter tool is specially designed to convert Exchange EDB mailbox emails to EML format. Software easily exports damaged EDB file into EML without any hassle. Moreover, the Exchange Server platform is not necessary to perform EDB to EML migration. Apart from all this, the software is compatible with all versions of Windows operating system, including Windows 10. EDB to EML migration tool permits users to convert emails from EDB mailboxes to EML format in batch. Before, exporting emails to EML format, the software provides a preview of all data items in EDB file. The tool will convert emails of each mailbox present in an EDB file and save each email in EML format with their associated subject line. EDB to EML Converter Provide you to date & time filter features that allows users to Advance filters are present for emails, calendars, contacts, tasks for quick EDB to EML Migration within specified range of date. With the help of this EDB to EML converter tool, one can recover data from corrupted Exchange EDB file also. The tool uses two different file scanning modes. One is Quick scan mode that is used when EDB file is in a healthy state. Another is Advance scan mode that is used to recover data from highly damaged or corrupted EDB file. 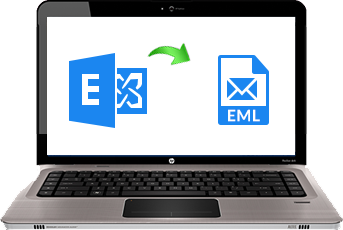 After exporting Exchange EDB mailbox emails to EML format, a user is allowed to save only selected EML file also. If a user wants then, he can check or uncheck the data items that he/ she wants to export. The tool will generate separate folder at the destination for each mailbox and save all emails in EML format. This Features allows user to save naming convention option to filter emails as per the naming of files. Software provide multiple options which are: subject, Date(DD-MM-YYYY)+From+Subject, Auto Increment etc. 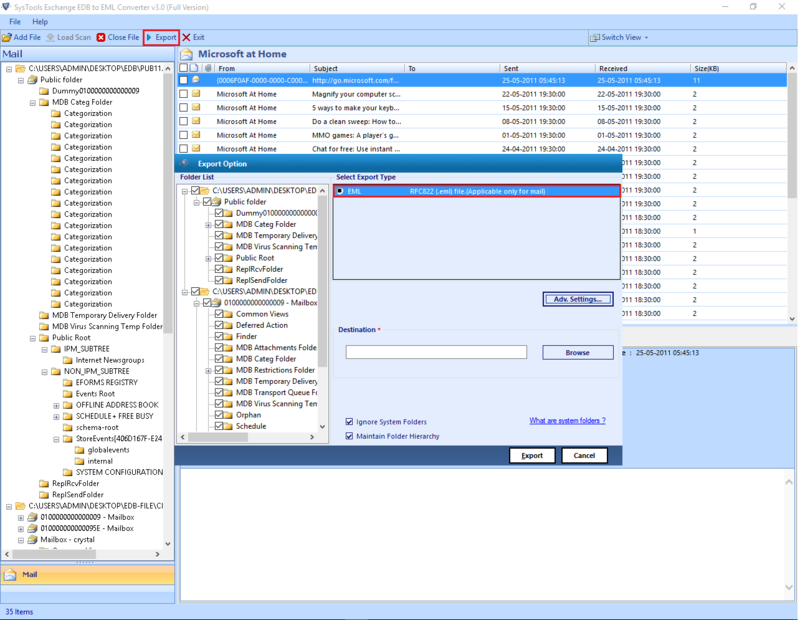 Software maintained folder structured feature which allows to preserve the all types of folders into hierarchical format. This will allows users to easily locate the files and provide GUI interface. Folder tree of EML file is same as EDB file after conversion. It was a great experience while using to Export Exchange EDB Files to EML software. The tool is designed in such an amazing way and its preview option is very helpful that displays all the content of EDB file. Using this tool it was really easy for me to convert all emails to EML file without running the Exchange Server. Thanks to the developers for developing such a great utility. The EDB to EML Converter application provides many promising features that helped us in having an easy and effective conversion. In addition, its selective item migration feature was very useful when I wanted to move only selective data. Great work was done by the developers. Hats Off. There are some situations in which the operational process of Exchange Server does not work perfectly. It can be due to the reason of some fatal errors like virus attack, jet engine error, file size error, header corruption, software and hardware corruptions etc. All these errors make emails users incapable of accessing their EDB emails file for future transactions. Therefore, users are searching for a solution to recover corrupt Exchange EDB mailbox file. In order to recover the corrupted EDB file data, a user can Convert EDB file to EML. It is because the accessibility of EDB file email data can be improved by saving it to EML file format. Therefore, It becomes easy to open and read out the Exchange EDB mailbox in the different environment also. The benefit of converting in EML file is that it can easily be opened in a number of email applications on any Operating Systems such as Thunderbird (Linux), Outlook 2011 (Mac), Windows Live Mail (EML). Allows to repair corrupted or damaged EDB file. 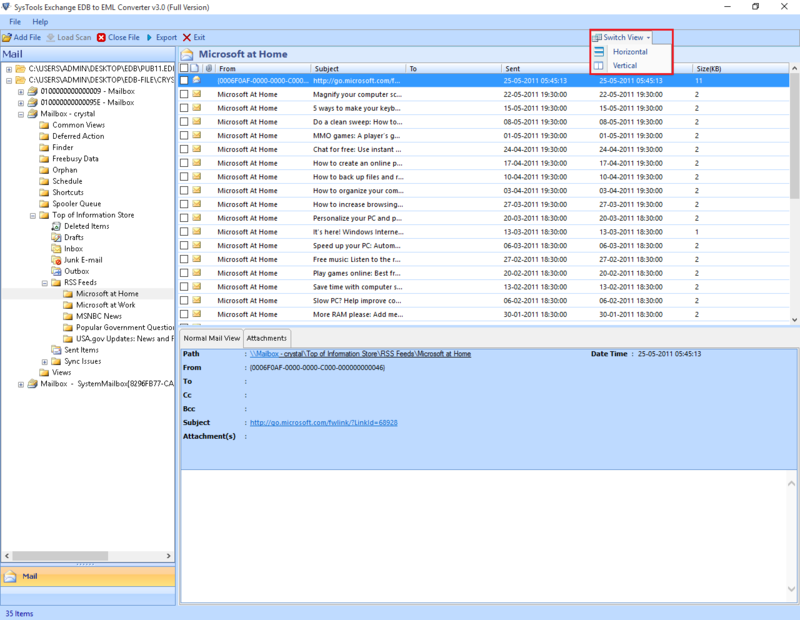 Export only selective EDB file emails to EML format. Exchange Server is not required to perform conversion.